The CCH deposit interface on the Coinchase official website has not been opened yet. so we provide a temporary solution. 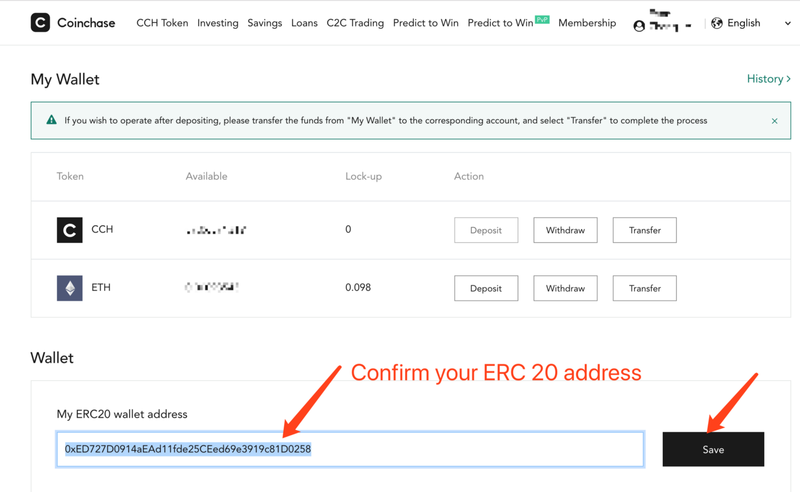 On the My Wallet page of Coinchase, fill in your ERC20 wallet address which you send CCH to Coinchase. Do not withdraw CCH directly from the exchange wallet to the official ETH address of Coinchase, Otherwise, it will be difficult to retrieve.